offices. 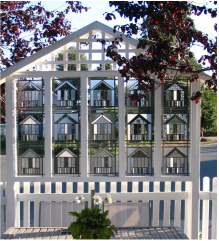 Talk to him about creating a window designed especially for you. 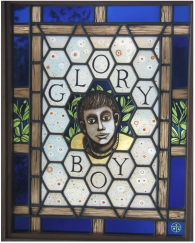 ﻿﻿﻿Ted Goodden, a visual artist working primarily in stained glass, lives on Hornby Island, B.C., Canada. He is also a sculptor and mixed media artist. Over his long and prestigious career, he has created hundreds of works that hang in public and private collections, and his stained glass creations have been shown in solo and group shows for the past forty years. 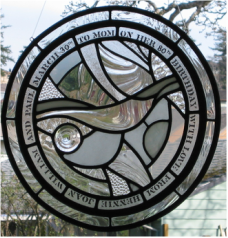 His main practice is creating customized, one-of-a-kind stained glass works for residential and public spaces.